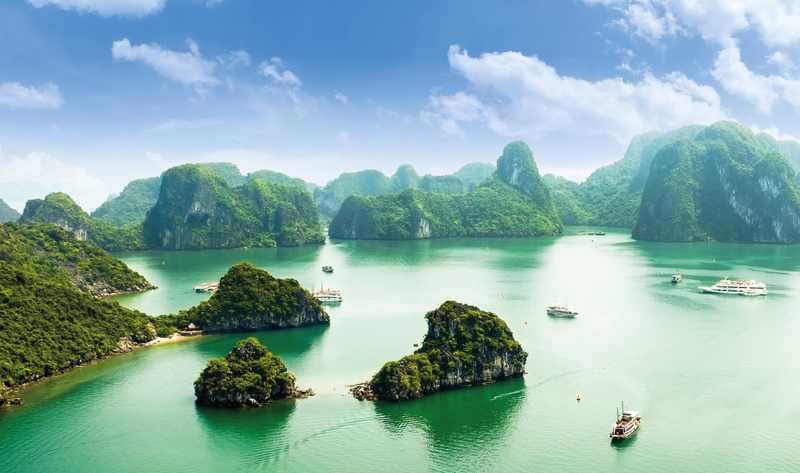 Travel a little farther to experience the exotic sights and sounds of beautiful Halong Bay, the ancient temples of Cambodia or the pagodas of Myanmar on a river cruise. Many river cruisers take their first voyages close to home in Europe – but soon start looking further afield for more adventurous itineraries. One of the great lures is a cruise along the Mekong, complete with hotel stays in Cambodia and Vietnam – and even an excursion to the beautiful Halong Bay. Seeing the sun rise above Angkor Wat, being woken by the chimes of a Buddhist temple or taking part in a tai chi class on the top deck is an exciting start to the day. And the transport waiting for your excursion is as likely to be ox carts, tuk tuks or rickshaws as coaches. During the day you might be blessed by monks, visit local weavers or take a sampan to a floating market. Both Cambodia and Vietnam have endured horrors and war in their recent past – a visit to the ‘Killing Fields’ or to an orphanage can be heart-rending – but their people are warm and welcoming. Early in the morning in Hanoi the parks are filled with groups of locals dancing, exercising, playing games and singing. You might even run into a communist rally. Lines of schoolchildren wait reverently to file past the body of Ho Chi Minh at his mausoleum. Visiting Americans involved in the Vietnam war remember PoWs held at the so-called ‘Hanoi Hilton’. In the streets, cars, scooters and mopeds − some loaded with whole families − dart around each other in a kind of manic dance and power cables hang messily down lampposts. Traders sit in vast open shops stocked high with goods. After this colourful introduction to Vietnam, holidaymakers are flown to Siem Reap in Cambodia to see the ancient temples regained from the forest. Then it’s a four-hour coach journey to Kampong Cham to board the ship for a journey back into Vietnam and Ho Chi Minh City. This year Uniworld is introducing what it claims will be the most luxurious ship on the river – the 68-passenger, all-suite Mekong Navigator. The vessel is fashioned in the spirit of the French Colonial-era manor homes that once lined the streets of Old Saigon. In August CroisiEurope is adding a fifth ship to its fleet on the river: the 60-passenger Indochine II, which will sail between Siem Reap and Ho Chi Minh City. Among its range of itineraries Wendy Wu Tours offers a 20-day cruise from Laos through Thailand to Myanmar and China. Also in Myanmar, the Ayeyarwady offers pagodas, temples and monasteries. Travellers can take the ‘road to Mandalay’ and see the country’s second-biggest city. 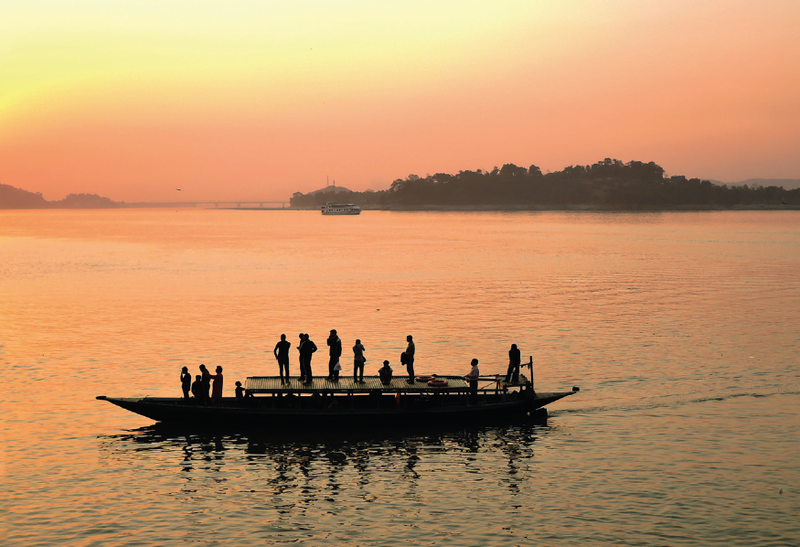 Visitors to India can sail on both the Brahmaputra and Ganges rivers, which have their sources in the Himalayas. Most cruises on the Ganges, the holiest river in India, are round trips from Kolkata and include a visit to the house where Mother Teresa lived. The Yangtze in China features the Three Gorges: you sail through the Qutang Gorge, the shortest but most dramatic, Wu, with its perpendicular walls, and finally Xiling Gorge. Cruises here can be combined with visits to the capital Beijing, Xian for the Terracotta Warriors, and Shanghai. 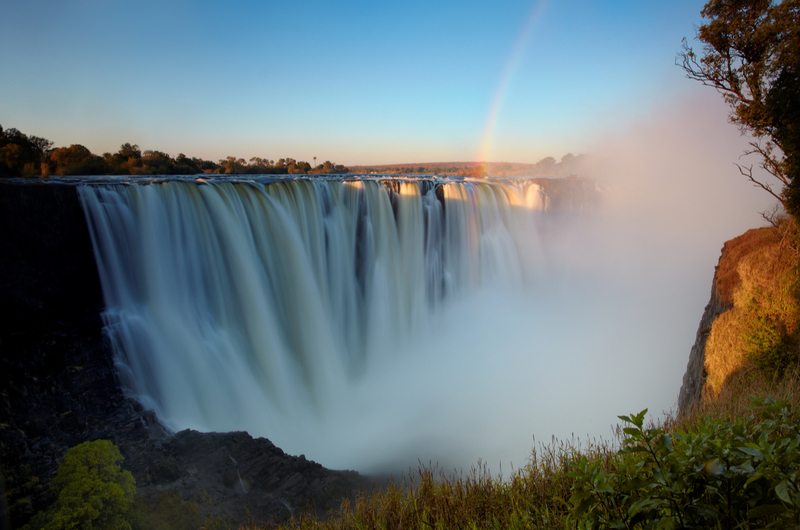 In Africa, CroisiEurope is launching the African Dream from December, offering four-day cruises on the Chobe and Zambezi rivers followed by a four-night stay at a five-star lodge, including safaris and a day at Victoria Falls. A second ship is already planned for next year. The Nile, which attracted 28,000 British visitors in 2012, drew fewer than 4,000 last year, so it’s a great time to see Egypt without hordes of tourists around you. Across the Atlantic, in America, travellers can sail along rivers including the Mississippi, Columbia and Snake. American Cruise Lines offers themed voyages linked to the Civil War, Mark Twain and Nashville Country and Blues. The world’s oldest polo club is in Kolkata − the Calcutta Polo Club was established in 1862 and the game is still played there. The chance to unleash your inner Lara Croft at the Ta Prohm temple at Siem Reap, Cambodia, where scenes from Tomb Raider were filmed. Look out for what appears to be a picture of a dinosaur carved into a wall. The Reunification Palace in Ho Chi Minh City – the home of the president during the Vietnam War, which ended on 30 April 1975, when a North Vietnamese Army tank crashed through the building’s gates. Mingun, northwest of Mandalay, which boasts the heaviest functioning bell in the world at 90 tons and 16ft 3in in diameter. At 4,000 miles, the Amazon is as long as the distance between New York and Rome. It flows from the Andes to the Atlantic and travellers can get to experience sections of the river in Peru and Brazil. G Adventures does a nine-day Amazon Riverboat Adventure In-Depth, flying from the Peruvian capital Lima. Daily excursions by motorised skiff reveal exotic wildlife such as sloths, toucans or pink dolphins. Guests also get to explore the Pacaya-Samiria National Reserve and dine on fresh food from the jungle. Avalon’s Amazon Discovery does a round trip from Iquitos in Peru. Guests see the Iron House designed by Gustav Eiffel and visit the Manatee Rescue Centre before boarding their ship. The next day they take pangas to see wildlife such as monkeys, iguanas and sloths. A night safari goes in search of caimans, frogs, bats and boas. Exotic cruise specialist Pandaw uses the Amazon Dream to sail the river between Santarém and Belém in Brazil. The trip also includes three nights at a five-star hotel in Rio and two nights next to the breathtaking Iguazu Falls. Check if one is required with the relevant consulate. You may have to send your passport away to be authorised. You may be advised to have booster inoculations and carry anti-malarial tablets. Drink only bottled water and be careful about eating street food. Take sunscreen and mosquito spray. Don’t be surprised if local people treat you as somewhat of a novelty – some don’t see many Westerners. If you plan on an excursion to an orphanage, pack some pens, coloured pencils and notepads as gifts. Be aware of whether you’re travelling in a rainy, cold or hot season. Bring lightweight clothing with some long-sleeved items for protection from mosquitoes and sun, as well as rain gear and comfortable walking shoes that you don’t mind getting wet or muddy. Pack a few smart-casual items for welcome and farewell dinners. Unlike European rivers, which are more controlled, waters can be affected by seasonal weather that can alter the course of the cruise. Be aware also that riverbanks can be steep and slippery.